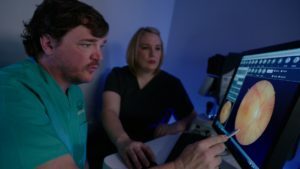 The Wallace Laser and Surgery Center is a state licensed, Medicare-approved, AAAHC (Accreditation Association for Ambulatory Health Care) certified facility that is specially designed for eye surgery. It is the only out-patient surgery center in CENLA dedicated to eye surgery and offers patients the most affordable and convenient method of cataract surgery available today. lace Laser and Surgery Center is frequently visited by eye surgeons and their staff from all over the country and abroad to enhance their surgical skills and clinical results.